Whether you're buying your first bulk bag unloader, or your 100th, you want to find the best solution for your application requirements. 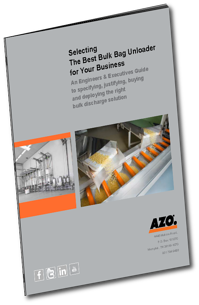 Download your free copy today to make sure your next bulk bag unloader purchase puts the perfect machine in your factory to meet your requirements. Maybe your bulk bag unloading project is really complicated, or perhaps you need multiple unloaders. You may also have much bigger bulk material handling requirements. AZO designs and manufactures complex systems for all aspects of powder and bulk handling. Our engineering team would love to brainstorm your requirements.